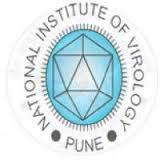 Project Technical Assistant (Lab) Vacancy – Last Date (Interview) 25 February 2019 (Alappuzha, Kerala), National Institute of Virology (NIV) recruits Project Technical Assistant (Lab) Post. Candidates with Graduate, Post Graduate experienced can apply. 1) Laboratory experience in Molecular Biology/Tissue culture techniques/Bioinformatics, Virological techniques, Serology, handling infectious agents and fieldwork. 2) Knowledge of computer applications and data management.